In this paper, the authors examine digital environments as a learning spaces and site of extended cognition by demonstrating the presence of active learning in both video games and their linked online collaborative communities. The authors use Shaun Gallagher's theory of extended mind to posit the notion that the shared cognitive space created in the game between creator and player can be extend to include many others through the digital communities of those players though gaming literacy. The authors conducted a think-aloud protocol with participants playing Yume Nikki, a minimalist Japanese indie game, then reading materials on hikikomori, a condition the creator is believed to have. They conclude from their results that active and creative learning of human communities should not be undervalued when designing virtual environments even when the environment is single-player. 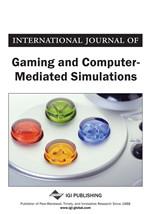 In the context of online learning and collaborative thinking, the study of video games and gamer culture is uniquely suited to understanding the confluence of engagement, understanding, and application in complex digital learning environments. Games draw their resonance from interactivity; the balance of repetition and inconsistencies as the player moves through uncertain game environments. Since each playthrough of a game can be radically different from the last, the actions and reactions of the gamer drive the moment-to-moment narrative of the game, creating a co-authorship between the player and the game’s creators in which the player subtly probes the programming through in game actions. Players will often collaborate in online spaces by researching and debating the intention of the game developer and his/her motivations, especially in a game where the author’s intent and/or identity in the game is unclear. If the game in question reflects the personal beliefs and experiences of the developer, the communities of gamers researching the game often work to understand the developer on a personal level as this understanding can inform understanding of the game. It is our contention that this connection to the developer can foster a learned empathic response across social and cultural divides. To test this hypothesis, we sat players down to play Yume Nikki (literally 'dream journal' in Japanese), a game where understanding the cultural and psychological background of the developer is paramount to understanding its unique gameplay. Set in the dreams of Madotsuki (“window”), Yume Nikki allows the player to navigate throughout different dreams found through many doors, some pleasant, others nightmarish through Madotsuki who serves as the player’s avatar. There is little instruction on how to navigate the world, and the only goal appears to be finding the 24 effects, a series of abilities and changes to Madotsuki’s appearance that can often be used to navigate new areas. Also scattered throughout the game are various “events”, odd circumstances that appear to be meant to cause an emotional reaction in the player or to promote speculation as to their presence in the dreamscape, but usually do not significantly impact gameplay. The game is infamously difficult to navigate, the graphics stylistically rudimentary and confusing, and often the means of getting effects and events is counter-intuitive. The game is made even more difficult by the lack of in-game help; there is no dialogue and all 'people' and places in the dreams, except for Madotsuki, are not given official names. What little is known about Madotsuki and by extension her anonymous creator, Kikiyama, must be gleaned from the dream environment and the mechanics of gameplay making interpreting the strange occurrences and landscapes in Yume Nikki both challenging and essential to success. These challenges have led players to meet in online spaces not only to figure out basic navigation and play, but also to try and decipher certain events, questioning the motives of the creator and the characters. The context of this game is limited; players have had to decode the game's narrative meaning solely through the “language” of the game: its gameplay, atmosphere, and player agency. It is these limitations that make Yume Nikki a rich resource for understanding video games as complex learning environments that extend online through which the minds of players meet and connect to each other and extend back to the mind(s) behind the game itself.